An 18 year old woman went missing from Kosciusko County in Warsaw, Indiana a week ago today, by the name of Aurora Shoemaker. There is not an abundance of information on this case, due to her abrupt disappearance. 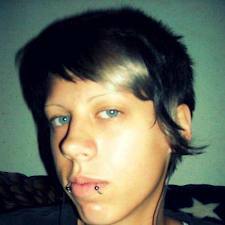 The young adult is described as being 5-foot-6, a slender build, short blonde hair, green eyes, and piercings in her lip. She was seen last Thursday at approximately 4:00 P.M. leaving her mobile home at the Acres Mobile Home Park going out for a walk, however, she never returned. The sudden disappearance, coupled with her cell phone going unanswered caused her family to contact the Sheriff’s Department on Sunday to report her missing.